Latest Workout Crazes: Where do I begin? Are you ready to start exercising and improve your fitness level, cardiovascular status and appearance? With all of the web page ads, late night infomercials and magazine covers in the checkout touting the newest way to slim down, it can be very confusing to figure out where to begin. We are all looking for the newest, latest and greatest way to slim down and get healthier and with all of the information out there it can get very confusing and overwhelming. With today’s blog, I hope to work through some of the newer fads and hopefully help you find a starting place for your exercise regimen. It seems everyday patients come in asking about the newest workout craze or the latest vitamin or supplement that has been reported to help with weight loss. Let me tell you…this is my profession and it is hard to keep up with it all. So I can sympathize with you if you are totally confused about where to begin. One of the most important things when choosing a new workout is to make sure you are excited about the workout but also challenged at the same time. It is important to mix it up and change things around so you do not get bored with what you are doing, but also so your body does not acclimate/adjust to the workouts you are doing day in and day out. Here are some simple rules to follow: 1) make working out your habit; 2) be consistent with your training; and 3) build on the fundamentals (start with the basic exercises). Here are some of the trends for 2014. See what you think and maybe this blog will give you an idea of something new to try. Lately it seems that HIIT is all the craze. According to the American College of Sports Medicine, it is one of two top fitness trends in 2014. HIIT, or high-intensity interval training, is a training technique in which you give all-out, one hundred percent effort through quick, intense bursts of exercise, followed by short, sometimes active, recovery periods. This type of training gets and keeps your heart rate up and burns more fat in less time. Some other benefits of HIIT include 1) increased metabolism for up to 48 hours after a workout; 2) it can be done quickly and anywhere (can perform at home, in a hotel, or at work and typically in 30 minutes or less); and 3) you do not need any equipment (because you generally use your own body weight). The popularity of High Intensity Training is showing no signs of changing but a new aspect which you might not have heard of is SpeedFlex. SpeedFlex is an exercise especially focused at engaging your core and your rear end. Each person is rigged up to machines with a wireless device that’s strapped around your stomach area, you can then see on the TV screen just how hard you’re working throughout the session. With each exercise lasting 30 seconds you know you can push yourself to the max in short sharp bursts, so if you’re looking to get in shape but need someone else to motivate you the SpeedFlex class is perfect. The downside to this type of exercise is you have to go to a gym to participate. The upside is you have to go to a gym so you are held more accountable, there are others in the class which pushes you to work harder, and instructors for the class who give you praise and motivation to keep going. Mud runs and obstacle courses are becoming more and more popular every year because it is a great way to work out, have fun and compete with your friends or colleagues. Featuring things like mud crawls, clmbing over hay bales, scaling walls and wading through water, and a LOT of mud. The downside to this workout is that the challenges do not take place all the time. However, more and more personal trainers are taking training outdoors and having their clients perform activities similar to what you would do in these challenges. This type of workout is getting back to the basics. This type of training is as simple as it comes and requires little to no equipment. You use your own body as your form of resistance completing pushups, sit ups, climbs, crawls, planks, etc. You can perform this type of training in a variety of places, from the mats at the gym to the floor in front of your television at home. Fitness is not one-dimensional and people are realizing that their diet, lifestyle and exercise habits are very important and must all work positively with one another. Some people rely heavily upon personal trainers to give them a highly personalized regimen of diet and exercise to keep them more accountable. Corporate well-being has been gaining popularity among businesses in an effort to improve their employees health status which in turn reduces the number of days of absence from work and can help decrease insurance premiums making insurance less expensive. 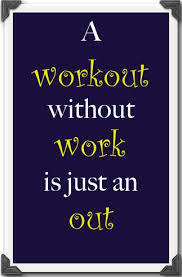 Many businesses offer fitness centers on-site or reduced or free gym memberships to their employees. Some also offer personal training/coaching/nutrition to their employees in an effort to hold them more accountable and help them be more successful. There are many different types of yoga classes available and it does not seem to be slowing down. Yoga is a very popular form of exercise and people love it. Maybe they love it because there are so many forms of yoga out there, or maybe they just love it because it works. Hot yoga is a popular form of yoga which takes place in hot and humid conditions. There are other forms of yoga gaining more popularity including: Ashtanga, Iyengar Yoga,Vinyasa Yoga, Kripalu Yoga, Anuara Yoga, Sivananda Yoga, Kundalini Yoga. Many people turn to the internet for exercise routines and classes. If you Google “exercise routines or classes online” you will get approximately 58,700,00 results. Workouts can be found on YouTube as well. Many online exercise workouts are free are relatively cheap and many have live instruction. Many gyms are even uploading their regular classes for viewing and instruction as well. 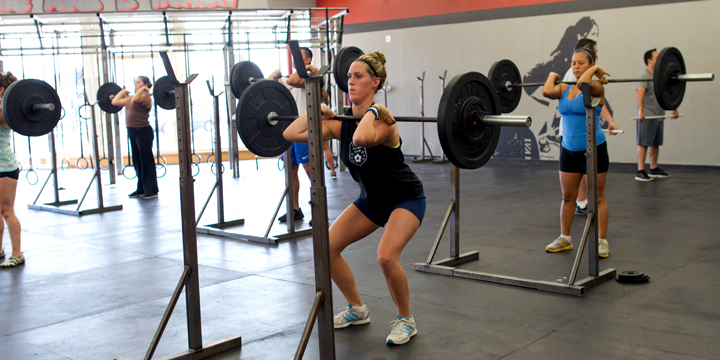 In the past two years, strength training has exploded in popularity. The primary aim is to use weight training to secure and build on strength. For a while now women have been slightly wary of weight training, fearing that too much focus on weights can lead to a bulky, more muscular figure. This view has changed slightly thanks in part to celebrity interest in weight training and obviously the popularity of community based programs like CrossFit. 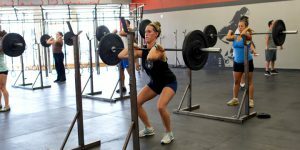 CrossFit is a strength and conditioning program set to ensure it’s participants get to an elite level of fitness using various functional, strength and high intensity exercises. When they say an elite level of fitness, they really mean it. CrossFit uses exercises like dumb bell pushups, medicine ball throws, pull ups, kettle bell bear crawls, and running sprints or a mile or more after several intense exercises. This is a workout that truly pushes you to the edge of your capabilities. Feeling overwhelmed? I thought this blog would help clarify some things, but reading over it, it may make it seem more challenging. My goal on this blog was to educate you on all the various popular exercises out there. I hope this blog gives you some guidance. If you are just a beginner, I would suggest you try beginning with the program below and then progress to more advanced or challenging exercises as you are able to do so. Repeat every time there is a commercial and continuing performing it until your show comes back on. Good luck with getting yourself started and getting busy. Remember, there are lots of ideas, crazes and suggestions out there. So if you are EVER confused, have any questions, or need any help, please let our staff know! Have a wonderful day! Next PostNext Does Your Life Weigh You Down?